Technology has no doubt provided a great convenience for the people, which have certainly made life easy for them. But the dependency of us on the technology is also increased to a greater extent. With the increased complexity in the making of such technology, our understanding of it has been lowered. Hence, whenever a crisis occurs with regard to those complex machines, we found ourselves clueless. Hence, whenever we buy any new machine, we need to pay extra bucks to those installers who seem to do nothing out of the box which we cannot. One such example is satellite dish installers. Television has now become an important part of a person’s life. They have become a lifeline for the people. Right from morning news to evening shows, our daily schedules are planned according to them. Hence, no one will like to stay even a day without T.V. But that’s where the problem comes in. We willingly buy our favorite satellite dish with fancy packages and expect it to be installed in a day! But that doesn’t happen! The satellite installers never come on time, sometimes they even take 2 to 3 days to have your satellite installed. But now you don’t have to worry as we are going to take a look at the top 10 tools that can help you (or anyone else) install the Satellite Dish by yourself. So let’s take a look at these 10 tools that’s most-needed by satellite dish/network installers. This is one of the must-have tool for satellite dish installers. They are used by different kind of professionals such as geologists, archaeologists, architects and etc. They help the installers to find the perfect position or place for installing the dish so that it accurately catches the satellite signals. This is an important tool for techies and as such can come in handy for satellite dish installers. This is another important tool for installing various satellite network dishes. 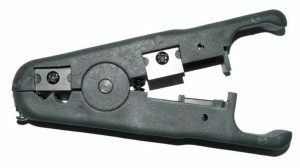 Coaxial cable stripper strips down the coaxial cable by giving a good grip on the cable. 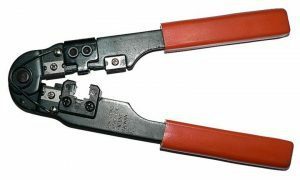 The tool is efficiently designed to cut the coaxial cable precisely and accurately. The fact that makes this tool more important is that it has no other better alternative and as such can’t be replaced easily. 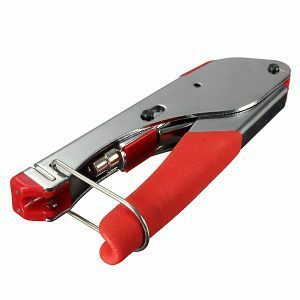 Earlier on we learned about the coaxial cable stripper that strips down the cable. Now we are going to look at the coaxial cable cutting tool that cuts down the coaxial cable effortlessly. The tool is very important as it helps one join two ends of the coaxial cable precisely. This is a must-have tool for digital satellite TVs and/or dish network installers. This is another tool that is essential to do a number of solid tasks apart from installing satellite dishes. Such tasks includes; CCTV, security gadgets and moving cables from one place to another. As the name suggests, the cable compression tool holds and compresses the cable so that it can be easily moved. It is another important tool for dish network installers. This is a handy tool that is useful even in our day-to-day life as technicians. 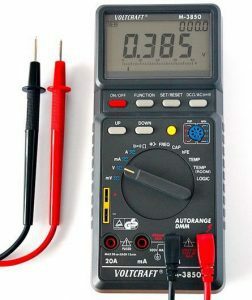 It is useful for; testing the cable wires, television wires, or telephone wires. They are useful in testing the electric connections and flow of electric wires and coaxial cables. 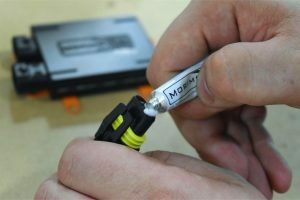 Apart from that, the tool tracks the cable’s length so that the installer doesn’t have to do it on his own. It is another good pick for top 10 must-have tools for satellite dish installers. As the name suggests, satellite meter finder accurately tracks the perfect position/place for the installing the satellite dish. This is done once the satellite connection is secured. 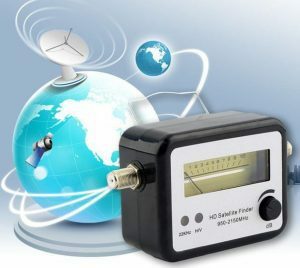 There are various satellite meter finders available in market in both, digital and analog form. Hence an important tool for installing dishes. So far, we’ve written a comprehensive review for the last two we bought as well as give an exhaustive list of top best satellite signal finders in this page. This is another handy tool that is needed to install the dish. 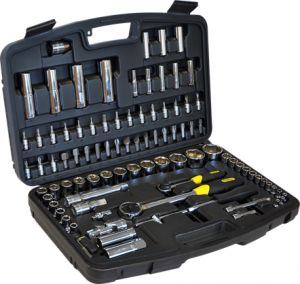 A socket wrench is a set of spanner and wrench that has socket attached at the end of it. This is used to tighten the bolts and nuts. This is necessary to fix the dish to the wall or the ceiling. Apart from installing dish, it can come in handy for completing several household tasks. 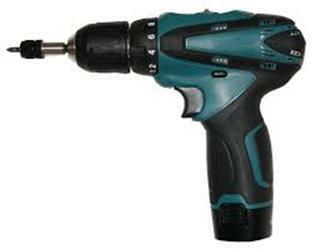 This tool is essential in tightening the screws and also for drilling purposes. Without it, the process of installing the dish cannot move ahead easily. With the help of power screwdriver, one can fix the dish on the wall with the help of the drilling functionality and also stable the dish by tightening the screws firmly. This is a lubricant used for preserving and lubricating the rubber parts of the dish such as O-rings. This is a must-have tool for installing satellite dishes. 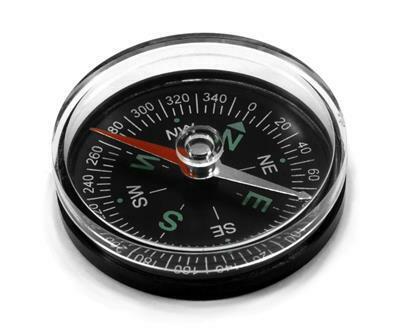 It can also come in handy for regular outdoor connections as it helps seal important connections from water and/or other potentially corrosive environments. 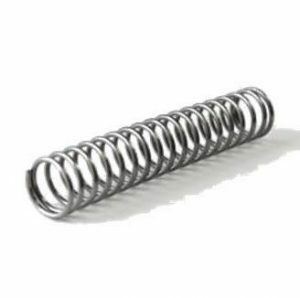 Spring steel is used to pull the heavy cable wires. It is made up of steel wires that are strong and very rigid. They prove to be very reliable in pulling up heavy materials so that the effort is minimized. In my viewpoint, these are the top 10 tools for satellite TVs network installers. They are mostly reliable, efficient, and very accurate. Without them, installing a satellite dish correctly will take more effort than necessary, and won’t be possible in most cases. Apart from, installing satellite dishes, they are helpful for many other uses. Having these tools, would help one install satellite dishes effortlessly. We omitted some pricey tools like: portable TVs, TV tuners cards, DVB-T boxes, and other tools that aren’t primary to satellite network installers. Did you think we left out any of your favorite tool as a satellite dish installer? Please do share them with us below. Credits: This content is credited to Elizabeth, who is vast with electronics and mobile number tracking. Previous ItemIs IDrive Cloud Storage Better for Business or Personal Use?